"Russell Henley looked fractionally over-priced given he’s been in fair form of late. He ranks inside the top-ten for Driving Accuracy and two of his three PGA Tour wins came in low-scoring birdie-fests. He hasn’t got a huge bank of course form to boast but he’s a great putter on Bermuda and he’s shown glimpses of form at Sawgrass too." Sam Snead won the first Wyndham Championship in 1938 when it was known as the Greater Greensboro Open and he won it for the eighth time in 1965, at the age of 52 years and 10 months! That still stands as the most wins of a single PGA Tour event and he's still the oldest winner on Tour. The Wyndham is the last counting event before the FedEx Cup Playoff series begins next week with the Northern Trust Open (formerly The Barclays) so players are looking to finish inside the top-125 on the rankings to secure their playing privileges for next season and to gain a place in the field at Ridgewood next Thursday. Sedgefield Country Club, Greensboro, North Carolina. Founded in 1926, the Donald Ross designed Sedgefield Country Club was the event's original venue but between 1977 and 2007 the tournament's permanent home was Forrest Oaks Country Club. The Wyndham Championship returned to Sedgefield Country Club in 2008 - a year after Kris Spence had restored and lengthened the course so it could stand up to the modern game. In typical Ross fashion, the greens are smaller than average, undulating and fairly fast, and they're usually set to run at around 12 on the stimpmeter. Since the event returned to Sedgefield, low scores have been the norm, with two winners, Carl Pettersson and Arjun Atwal, both shooting course record rounds of 61 on the way to victory. Changes were made to the greens prior to the 2012 renewal and they're now the same strain of Bermuda (previously bent grass) used at another North Carolina Tour stop, Quail Hollow, but it hasn't made the difference to the scores anticipated. Patrick Reed's winning score of -14 in 2013 was the highest since the event returned to Sedgefield but the 2015 and 2016 winners, Camilo Villegas and Davis Love III, both reached 17-under-par and Si Woo Kim tied the tournament record with a 21-under-par total in 2016, firing in a 10-under-par 60 in round two. That record only lasted 12 months though as last year's winner, Henrik Stenson, amassed a 22-under-par total. It's not a tough track. Sedgefield also hosted the Greensboro Open on the Web.com Tour between 1998 and 2000. Live on Sky Sports all four days, beginning with Featured Group coverage at 17:00 UK time and full coverage at 20:00. What Will it Take to Win the Wyndham Championship? Finding the fairways at Sedgefield, in order to best attack the small greens, is of more importance than hitting it miles off the tee. In the 10 renewals here, since the event returned to Sedgefield, 16th (Patrick Reed) is the worst any winner has ranked for Driving Accuracy. Last year's winner, Henrik Stenson, ranked eighth. For the first seven renewals back at Sedgefield, the number one ranked player on the par fours finished either first or second and that's firmly back on the agenda after last year's renewal, with Stenson ranking second, behind Ollie Schniederjans who finished second. Stenson played the par fours in a combined total of -10, Schniederjans played them in an insane -15. He's going to be some player if he can cut out the mistakes - he made more birdies than anyone else over the first two days in Canada three weeks ago but missed the cut by five! Clearly the best figures to peruse are the Driving Accuracy stats here and the Par 4 Scoring stats here. This is the last event of the PGA Tour season before the FedEx Cup Playoffs begin with Northern Trust Open next week and so those players bobbing around the 125 mark in the FedEx Cup standings (here) often raise their game. The 2015 and 2016 winners, Davis Love III and Camilo Villegas, both began the week outside the top-125 on the FedEx Cup Standings, as did the 2015 runner-up, Jason Gore. Charl Schwartzel, who finished tied for third three years ago, had begun the week ranked at 125th and although he collapsed quite badly right at the end, Jonas Blixt moved up from 135th to 121st to get himself into the field at The Barclays after he'd finished 10th here in 2015. From a course correlation angle, form at Donald Ross designed tracks tends to cross over well so a look at form at Oak Hill Country Club, which was the venue for the 2013 USPGA Championship, won by Jason Dufner. Oakland Hills, which hosted six US Opens between 1924 and 1999, as well as the USPGA Championship in 2008. Aronimink Country Club, which hosted the AT & T National in both 2010 and 2011, East Lake in Atlanta - home of the Tour Championship but if you want a really strong course link you need to head to Florida and to the Pete Dye designed home of the Players Championship, Sawgrass. Incredibly, five of the last seven Players winners have also won the Wyndham. This has been a decent tournament for first timer winners and five of the last nine victors were breaking their duck on the PGA Tour. Stenson was a well-fancied [15.0] favourite last year but outsiders have fared really well of late with the four winners before Henrik all being matched at a triple-figure price before the off. Patrick Reed won his first PGA Tour title here in 2013, having been matched at [100.0], Villegas was a [150.0] shot in 2014, the first three home in 2015 all went off at huge prices. The winner, Davis Love, Jason Gore in second, and Scott Brown, who finished tied for third, went off at odds of [1000.0], [440.0] and [320.0] respectively and the 2016 winner, Kim, was matched at [220.0] before the off. From an in-running perspective, we've seen a mixed bag of results here since the tournament returned to Sedgefield and it's slightly misleading. Jason Bohn was beaten in a playoff in 2009, having trailed by seven strokes with a round to go and in 2015 Davis Love was the third winner in eight years to win from four back after 54 holes, so even though the other seven course winners were all in front after three rounds, it's clearly somewhere you can win from off the pace, although I'd still heavily favour the frontrunners. Kim trailed by five after an opening 68 in 2016 but he was never headed after his 60 in round two and Stenson was never outside the front three places all week long last year. He trailed by a solitary stroke after rounds one and two before moving one in front through 54 holes. Wi was tied for 42nd after round one two years ago but the other nine course winners were inside the top-20 after round one and all nine have been inside the top-ten at halfway. The three men to win from four adrift after three rounds - Love, Villegas and Ryan Moore (in 2009) - all bounced back after disappointing third rounds. Only one of the ten winners since 2008 (Webb Simpson in 2010) has been trailing by more than two strokes after 36 holes but he was tied for second and only three back. If you're trading in-running, the finish to the course is worth getting accustomed to. The 14th is a tough par four measuring just over 500 yards and it was the fourth toughest on the course last year, averaging 4.1, and the par four 18th hole is the toughest on the course and last year it averaged 4.2 but four of the last six holes are gettable. Holes 13, 15, 16 and 17 last year ranked 15th, 17th, 12th and 10th hardest so the final third is varied. With course form figures reading MC-8-1-22-11-5-6-72-3, this year's Players champion and North Carolina native, Webb Simpson, is the very obvious favourite. He loves the tournament so much he even named his daughter Wyndham! It's very difficult to envisage him not contending but he's not for me. Even if he does get off to a good start, there's no guarantee that he'll finish the job off and he's lost his way here three times since he won the title in 2011. Hideki Matsuyama, who was third here in 2016, is a late entrant after a couple of decent performances at last. He's had a poor season so 39th at the Bridgestone and 35th in the US PGA last week represents a slight upturn in fortunes but it's not enough of an improvement to tempt me in. Defending champ, Henrik Stenson, missed the cut last week and he may well still be struggling with the elbow injury that kept him out of the Scottish Open last month. He too looks like one to swerve. Russell Henley looked fractionally over-priced given he's been in fair form of late. He ranks inside the top-ten for Driving Accuracy and two of his three PGA Tour wins came in low-scoring birdie-fests. In his sole visit here to date he shot rounds of 67, 67, 68 and 71 to finish 46th so he hasn't got a huge bank of course form to boast but he's a great putter on Bermuda and he's shown glimpses of form at Sawgrass too. Sooner or later Ollie Schniederjans is going to make a few less bogeys and get off the mark. 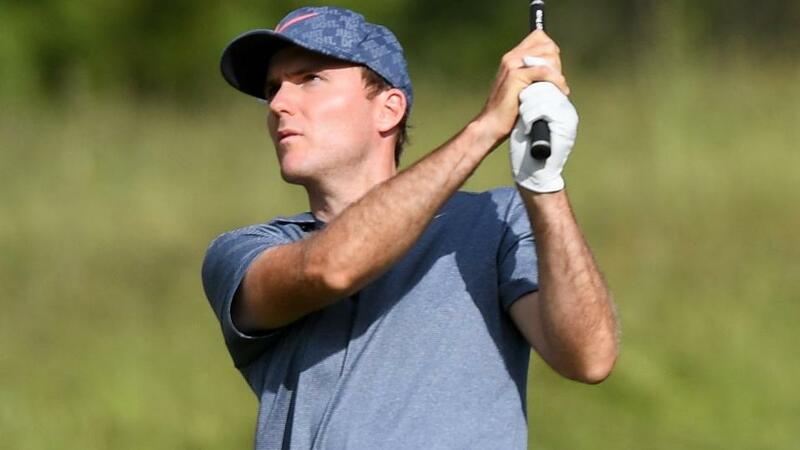 He isn't a great price this week but following his bizarre effort in Canada he finished fifth in the Barracuda and 59th in the US PGA (fifth after round one) and I felt he was worth including given how well he took to the venue last year. Chad Campbell ranks 126 in the FedEx Cup standings so he needs another good week after his second last time out at the Barracuda Championship. Chad's a winner at the Donald Ross designed East Lake and he was fourth here in 2012. The runners-up finish last time out wasn't completely out of nowhere as he was also seventh in the John Deere Classic and I thought he was way over priced at [170.0] given he's no bigger than 100/1 on the High Street. I'm still picking my way through the myriad outsiders so I may add another one or two before the off and if I do I'll either kick off the In-Play Blog early or post any other picks before the off to Twitter.